My prediction was wrong. Goodbye Haim Ramon. No more politics for you. Prison for three years. Somebody I know who is in the newspaper business told me that he is horrible. There are a number of other women who have had similar and worse stories with Ramon. When asked why they do not come forward, one of them told his reporter that she does not need it. She has a husband and kids now and she does not need to be in the news and ruin her family. It is hearsay, but it is good he is being locked away. Today the courts will be handing down the verdict in the case against Haim Ramon. My prediction is that he will be exonerated. I think that the case has almost no merits and is ridiculous. And I do not even like Ramon as a politician. He might be exonerated with some criticism, which might make it difficult for him to return to his old post as Justice Minister. He might need to take up a new position in the government, which is why Olmert has waited for the ministerial shakeup he has been talking about for a while now. He is waiting to see what he can give Ramon. And on that note, there have been some calls that if Ramon is found not guilty that would "require" the Attorney General Manny Mazuz to resign. The logic behind this is if he brought such a case to court against such a high ranking public figure and there is no basis to the case and he is found innocent, then manny Mazuz must resign. He will not be able to continue working in his position, as he would have to work closely with Ramon who would return to his position as Justice Minister. I disagree with that position. Just because he felt there was enough evidence to indict and convict does not gaurantee a conviction. Guilt has to be proven in a court of law and the fact that the prosecuters did not successfully do so should have no bearing on Mazuz's position. A 22 year old yeshiva student was late for his plane. When he got there they already closed the terminal and would not let him on. He said, in an attempt to convince them to let him on, that his brothers funeral was the next day and he had to be on the flight (the article does not say if this was true or not). The employee did not let him on, so he went to a phone and called in a bomb threat. He was sentenced to pay a $1,000 fine, wear an electronic monitoring bracelet while confined to his home for six months and perform 200 hours of community service. The following is a guest post by a frequent reader and commenter, whatsinaname. The topic is Ami Popper. In case you are not familiar with the case, Ami Popper in 1990 killed 7 Palestinian Arabs. He was sentenced to life in prison and that was later reduced to 40 years based on his good behavior. Ami Popper was recently on a type of weekend furlough and went to Eilat for a weekend vacation with his family. He was involved in a car accident and his wife and two of his children were killed. I have heard some conspiracy theories about what happened, but nothing good enough, or interesting enough to post. Whatsinaname knows the family from Har Nof and had the following thoughts he wished to share with the rest of us. Enjoy. Any changes I made were only for editing grammar. The following is a mixture of my own thoughts and various facts that I have learned and picked up. I hope it is all true, and I think it is. If any of it is not, I hope someone will correct me. In the year 1990 a chiloni man by the name of Ami Popper went and brutally murdered about seven arab men who were waiting on the side of the highway. When asked why he did this, he gave two answers. His second answer was that as a child he was raped by one of the arabs. He was immediately given a life sentence, and sent to jail. In jail he was what is commonly termed “well behaved” thereby earning him good treatment during his term. At some point he was sent to the prison used by religious inmates and slowly began to change himself. Within the course of only a few years he went from a convicted chiloni prisoner to a well behaved religious prisoner. He studied under some rabbaim, one of which was very close to Rav Chaim Kanievsky, shlita. Around his third year of his term, a woman, who’s family were signed members of the K”CH movement, meant with Ami Popper. Their relationship blossomed and soon they considered marriage - him behind bars, she giving him a second chance at life. With the blessing of Rav Chaim himself, the two wed and began a somewhat unusual family life. Due to his continuing good behavior, he built the trust of the justice system, and his sentence was lowered to 40 years and was soon allowed to visit his family outside the prison for hours, sometimes days at a time. Soon enough their first child was born, a boy, and Rav Chaim came to the prison to be sandak for the new baby. But life was not so sweet for Sara Popper. She raised the three boys herself, and it was not an easy feat. The boys were very active children, and she herself had a lot of trouble with the life she laid out. I once saw her in har nof; she was terrified because some men were yelling at her and calling her names. I’ve heard her sons quoted as saying how difficult a time they had at school because of their father and his situation. Nevertheless, he continued to come home, she did her best and the family blossomed into 3 children and Sara and Ami doing all they could to keep it together. I met Sara 2 or 3 times, each time the stress was visible in her eyes and her situation was clearly not a peaceful one. However, I also saw something else in her. A strength and kindness rooted deep behind the defense shields she always had to fight to keep up. Before his last release from prison, Sara made an order from the local butcher for meat for shabbos on Wednesday, but looking forward even more to a much needed vacation with her whole family the following day. She did not make it back the next morning. I’ve heard a lot of questions about whether she was buckled, whether the children were, why was he driving if his license was expired? These questions don’t really matter though, because when Hakadosh Baruch Hu is ready to take his children home, He brings them, regardless of who is driving the car. I’ve heard chilonim at work talk about the irony of the situation. Ami killing arabs and then killing his own wife and child. It is a fearsome analogy to make, much less to say it in the kitchen of an office next to the water cooler. However, the more I think about this horrible tragedy the more one question kept arising in my head. Why would a young woman with her whole life ahead of her, want to marry someone locked in jail? I think that the answer is the fact that we all get a second chance. Ami was a young kid, and he made a mistake (I don’t know if he admits to that or not). But somehow I have a gut feeling that had he been frum when he was younger, I doubt he would have done the same thing. Sara Popper gave this man a second chance to live another life. Albeit not the paradise we all dream of, but the opportunity to raise a family teaching Torah values. Oh yes, I can hear some of you crying, what kind of values comes from a murderer? But I know what kind of values. The kind of values that teach your children not to make your mistakes. If we never learn from our sins, how can we grow? Sara Popper, in my eyes, did an incredible chesed that I can only dream about. She sacrificed her own life to give a chance to someone else. Sadly there are only two boys left, but they are now going to a wonderful family. One, from what I hear is one the most giving and Ahavas Chesed families in Har nof. Fitting isn’t it? At the funeral I was told that Sara’s brother spoke of the great hardships she had in her life and noted that she is in a better place now. I have no doubt, and I pray that she has paved enough of the path that her children and others can learn that there is always an opportunity for a second chance, to anyone. Last week I received an email alert about a psak from Rav Elyashiv. The psak was regarding the status of Eilat in regards to how many days of yom tov would one need to observe in Eilat (it also referred to Antalya, Turkey, a popular vacation spot for Israelis, but that is not relevant for my post). The question is based on the fact that Eilat is not halachically considered part of Eretz Yisrael and does not have kedushat haaretz, the various agricultural laws of the Land of Israel do not apply to Eilat. Rav Elyashiv paskened that Eilat is not part of Eretz Yisrael and it has a Jewish community. Therefore, just like in other places in the diaspora, an Israeli found in Eilat for the holiday must observe the second day of the holiday as they do in the diaspora. The Chief Rabbi of Eilat, Rabbi Hecht, argues the point and says they keep one day of holiday just like in Israel. I am not sure what the logic was behind Rabbi Hechts position, as the article did not elaborate. I suspect that Rabbi Hecht is simply stating the facts. Israelis generally keep one day of yom tov even in America, except the most haredi of them. In Eilat for sure the majority of Israelis are only keeping one day for the holiday. It is not really a halachic position, rather a statement of facts.. I am not sure if that is the case or if he is of the opinion that Israelis should only observe one day of yom tov. The article was unclear. Sometimes we need our enemies to remind us of who we are and what we need to be doing. It was said about the holocaust (and many other tragic events in our history) that our enemy did not allow us to assimilate. No matter how hard we tried, they always remembered and reminded us that we are Jews and cannot avoid it. Sometimes we get so involved in the minutiae that we forget the big picture, which is often just as important. As a friend of mine said to me today, "If there was a suicide bombing there, it is clear that it is part of Erets Yisrael." Our enemies recognize that Eilat is part of Eretz Yisrael, yet we are arguing whether it is or is not. It seems to have been very prescient that this argument about the status of Eilat just occurred and almost immediately was followed by a sharp reminder by our enemies. Maybe, perhaps, though this pains me to suggest, Eilat suffered today's suicide attack, after hardly ever having been affected by terror attacks, precisely because of our haste to deny it status as part of Israel. We want to throw it out, so Hashem, with the aid of the terorists, threw it back at us and said this is just as much Israel as Jerusalem, Sderot, Tel Aviv, Haifa and everywhere else.. I often hear the complaint that new chumros are instituted fairly frequently and usually with great fanfare. If someone does not follow the new chumrah, he is often socially made to feel inadequate at best and barely frum at worst. The follow up to these chumros are that often we find a situation where the chumrah hits the haredi street running and takes off like wildfire. Yet, after a period of time, be it a week or two or even a couple of months, it suddenly dies down and is forgotten about by all other than a few people. Take for example the wigs made from Indian hair scandal from a couple of years ago. The pronouncement that sheitels should not be worn until the situation is clarified hit the street running. People did not wait for lists to be made or decisions to be announced. Rather they felt it heinous to hold on to possible avoda zara in their homes and ran to burn them in the streets. It was not just a rumor. I witnessed my neighbor burning his wife's sheitels. If you (or your wife) continued wearing your sheitel at that time, you could forget about your daughter getting any shidduch dates. Your level of commitment to frumkeit was seriously questioned. Forget about applying for your daughter to get into a Bais Yaakov. Yet, a few months later, after much money was wasted by poor avreichim burning their wives sheitels in an expression of religious haste, no word of the problem can be heard. Nobody made an announcement to not burn sheitels. Just the opposite, we heard from the most fanatic circles that it is assur to hold the sheitel in your house and it is a mitzva to burn, ala u'viarta ha'ra mi'kirbecha. Yet when everything was declared to be ok did we hear any big announcements? no. it just died down and a few lists were published that included practically every sheitel on the market and that was the end of the story. I still know people who have sheitels they put away in the closet weaiting to hear what to do with them and they are still in the closet because they never heard the follow up. That is one example, but haredi society is rife with examples similar to the above. The common complaint people have is that we always hear the chumrah but nobody talks about cancelling it. Who wants to cancel a chumrah? Nobody wants that on their name because they look less haredi. I think it is not a situation limited to the haredi world, nor one limited to the chumrah phenomenon. Rob in his post here commenting on a book about fads and their cycles notes a very similar experience. He says fads are quick to be adopted. It is the sign of living in a society that believes that change can make things better. It means the society embraces new ideas. Society believes in improvement and is willing to therefore try new ideas. And when it dies down with no fanfare it is because nobody likes to announce their failures. 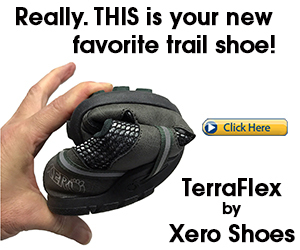 The fad at its beginning is something new and exciting. By the time it does down, it is not interesting to anybody. It is old news. Sounds eerily similar to the frum world. The only difference is that the frum world today is open to change, but only change l'chumrah, which is not always for the better. We almost never hear today of a change in frum society that makes life easier or better for people. Another book has been banned this past week. This ban for some reason mostly flew in under the radar, probably because the author is dead. The Tzitz Eliezer, Rav Eliezer Yehuda Waldenberg, was one of the gedolei haposkim of our generation who passed away recently. He wrote a monumental work called the Tzitz Eliezer, after which he was "nicknamed", along with a number of other books. He was 89 when he passed away and was a contemporary with Rav Elyashiv, as they sat on the same beis din together for a long period of time, among many other connections. His only son served as a Rav (affiliated with the Badat'z) of a neighborhood in Jerusalem until his own death last year. The Tzitz Eliezer wrote a set of books in 1952 called "Hilchot Medina" - halachos of the State [of Israel], dealing with issues involving Medinat Yisrael and rulership. The book has been out of print for a long time now and is considered fairly rare. In honor of the completion of the shloshim (30 day mourning) period of Rav Waldenberg's passing, the 3-volume set has recently been reprinted, to the dismay of the family. They feel that the original sefer should remain out of print due to the conflict it effects with their Haredi lifestyle. They do not wish to be portrayed, nor for the Tzitz Eliezer to be portrayed, as anything but Haredi, but this book being reprinted threatens that image. The Bada"tz has assured the book, possibly at the urging of the family members against it, and has banned it. In addition, they have sent out enforcers to local bookshops in Meah Shearim-Geula and in Bnei Brak to make sure the reprinted books are taken off the shelf. Let us not forget that in the time of the Rambam they banned his books and even burned them because they did not like his style. Only later were they able to look back objectively and realize he was a gadol b'torah and his books have taken the place they deserve in the Jewish world. I am not a big fan of book bannings. Unless a book was written with mistakes and has no founding, there is no reason to ban a book. Let the readers decide whether they like and agree with the thoughts presented in the book or not. Yet now the Badat'z has banned the book of a gadol, because they did not like the way it portrayed him. Rav Waldenberg, as a Rav dealing in practical halacha, felt it important to write a sefer dealing with the halachic issues involved in running a jewish state. Yet that conflicts with the anti-Israel stance of the Badat'z and therefore they ban it. Does that mean the book is assur to read? Are they objectively banning a book because they say it is mistaken and will lead someone astray? Is it just against their worldview and they have to ban it? As a simple person, how am I supposed to deal with such bans? I am a product of the yeshiva world. I spent my whole life until the age of 26 in yeshiva. As a result of that I naturally trust the gedolim. I have a problem when people say, gadol x is influenced by the askanim around him, gadol y never actually said what has been attributed to him, gadol z signs letters that he has no idea what they are about, gadol q bans books without reading them, etc. I have a hard time believing that these gedolim are so great yet are so easily influenced and have no idea what is going on around them. I am torn when I see something from a big Rav (gadol) that makes absolutely no sense and then people say he had no idea, or he never really did/said that. I do not know how to deal with that situation. Yet here we have a sefer being banned just because it puts some people into a dilemma because it makes it look like the State is something that has halachic consequences. Do we trust these great Rabbis that there really are problems with the book in question (otherwise they could have simply ignored it) or do we say that they are influenced by subjective motives? And this is just the latest example. Every letter that gets put up on the walls of Yerushalayim assuring something or somebody in the name of Rav Elyashiv or Rav somebody or other puts me in the same dilemma. Are these bans real and to be taken seriously or does somebody just have an identity crisis? Do the gedolim really know what is going on or are they really so easily influenced and so quick to sign their names on pieces of paper without actually paying attention what the agenda is? I am torn with no good answers. We spent this morning in the shopping area having a bagel breakfast, along with running some errands. It was a pretty busy Friday morning, as usual, and I was standing outside a store (I was shopping with my wife - she was inside shopping and I was outside waiting for her to finish) enjoying the beautiful weather with the baby. I saw an old friend from yeshiva who is in town for a relatives wedding. I saw some other people I know. Basically just enjoying a pleasant shopping trip outside the store watching the people go by. Suddenly I see a police car stopping by a double-parked car. This car was double-parked in a way that was blocking two parking spots. The 2 spots were empty, so I am not sure why the lady driving the car did not pull into the spots, and if they were full when she double-parked how they got out of the spots. The police car stopped behind the car and on the loudspeaker called out, "The driver of the Suzuki license plate #123456789 come to your car." Nobody came and he called this out a few times. Eventually a woman shows up and was oblivious to what was going on. As she is getting opening her car door to put her bags in, the policeman calls her over. First he tells her to pull the car into a spot, which she does. He then calls her over again and they argue a bit. I do not know what was said, they were out of ear-shot from where I was standing. I did not see him give her a ticket, though. They finished the conversation and she moved on to check her car and then went on to continue shopping. I went a bit closer to see what was going on by her car and I see that someone, probably the owner of one of the cars that had been blocked in, had smeared plastalina, playdough, all over the drivers side of her windshield. She was pretty frustrated as she tried quickly to wipe it off, with no success. It basically just smeared some more. She went off in a huff to continue shopping. This incident took place outside of a toy store. The driver blocked in probably went in to the toy store, bout a package of playdough and smeared it all over her windshield. She deserved it. I hate it when people double-park. I hope she learned her lesson. 1. President Moshe Katzav must resign. Saying the above does not mean I presume him to be guilty. He has the right and the responsibility to defend himself and prove his innocence. I hope that he did not do what he is accused of, simply because of the disgrace it would be if it is found out to be true. But if he is guilty, it will be proven in court with him having an opportunity to defend and he will then suffer the consequences. Regardless of whether he is innocent or guilty he needs to resign from the presidency. He needs to and will concentrate the immediate future to defending himself in a court of law and in the court of the minds of the Israeli and world public. Being that he will be busy doing so, he should not be sitting in the seat of the Presidency. Israel needs a president who can dedicate his time and energies to the job. Moshe Katzav will not be able to do so. That is aside from the disgrace this has brought to Israel and the presidency. For this, too, he should resign. 2. PM Olmert called on Katzav to resign. He declared in no uncertain terms, "In these circumstances there is no doubt in my heart that the president cannot continue to fulfill his role and must leave the President's Residence,". Talk about calling the kettle black! The President has not yet been indicted. His situation is not that different from the one in which Olmert himself is found, other than the crimes under discussion and the stage of the investigation. Katzav's investigation is nearer the end with recommendations having been made, while Olmert's is only close to that point. Olmert would do well to not stick his foot in his mouth and put himself in a precarious position later. When any of the investigations come to the point where they recommend he be indicted, will Olmert follow his own advice and resign? I would hope so but nothing indicates that he will. His style until now has been to publicly ignore all things going on in those regards and simply spin things to distract the people. His bold statement yesterday will probably come back to bite him in the tush when his time comes and he refuses to step down. 3. The race to replace Katzav has (more) officially begun. The candidates are lining up. They include Shimon Peres, Collete Avital, Dalia Itzik, Reuven (Ruby) Rivlin and possibly Rabbi YM Lau. My position on this is that the President needs to be elected by the people, not by the current system of the Members of Knesset voting. Voting open only to MK means they are subject to political pressures, coalition pressures, personal relationship pressures and the like and only we, the people, lose out because the limited number of voters do not have the courage to vote for the best candidate. Another position I have on this is that the candidates need to be taken from the general public. People who have contributed to society in various realms. Not politicians, and for sure not currently active politicians. This would mean the only candidate I would support in the above list of front runners would be Rabbi Lau. I think Rabbi Lau is a wonderful and inspiring person and he is deserving of the Presidency and would bring back honor to Israel if he filled the position. That being said, I would like to see more candidates from the general public - accomplished scientists, professors, mathematicians, men of spirit, etc. who would challenge Rabbi Lau for the spot. I do not know that Rabbi Lau is the best man for the job, but in the list of candidates above I consider him the only worthy one. Another position I have on the elections for president is that the ballot remain secret. if we are already limiting the voting to 120 MKs who are subject to political pressures and other pressures, at least the voting should remain secret and closed ballot, so at least to keep the slightest vestige of honest voting and not one big political deal and maneuver shafting the rest of the country. PM Olmert and the Kadima Party is going to be pushing perennial candidate Shimon Peres as its candidate for the presidency. Supporters for Shimon Peres are pushing to change the voting system to an open ballot. They fear that the only way Peres can win is by open ballot, where pressure will force a majority of the 120 voters to vote for him. They are probably right, which is the greatest example of why the voting must remain closed. Not to ensure Peres does not get elected. Rather, to ensure that the limited 120 voters get to vote for who they think is best, not just the candidate who can put the most pressure on them. If in a closed ballot they vote for Shimon, that is fine. Of all Olmert's mistakes, this one might be his biggest. His pushing Peres as the candidate, if Peres wins, is definitely a major mistake. The president is an honorary position in Israel. The president is not meant to discuss or get involved in politics. He is meant o be dignified and develop relations around the world and represent Israel to the world. Shimon Peres would be great at that. He is dignified. He is respected. He is probably more or less clean from the various criminal activities plaguing Israeli politicians nowadays. However, Shimon Peres is a man of action, not a man fitting for an honorary position. He would immediately make the presidency one from which he pushes whatever political agenda he has on his mind at the time. Peres is famous for his backstabbing and political maneuvers, and he would use the presidency for the same goals he has used politics for until now. Why would a man like Peres want this position anyway? He cannot get involved in the peace process, his baby, and other national interests from the Presidents Mansion. It is not in the job description. The only reason is because he wants it in order to further his goals and ideals. he wants to use the power of the presidency to push his agenda in the political sphere. Ehud Olmert should beware of Shimon Peres and not be so eager to push him into the presidency. the first person to be back stabbed by Peres will be Olmert. The interview I posted about earlier is now under Rabbinic advisement and awaiting a decision if and how to continue it. If you already posted questions, do not worry, they are not deleted. I have them saved elsewhere and will use them if the interview continues. When I recently wrote about the Chicago Bears, a commenter expressed shock and surprise that on this blog, which generally only talks about Israel (and is very pro-Israel) and Jewish "culture" issues, I would show my enthusiasm for an American Footbal team, specifically the Chicago Bears. I have been thinking about her comment and have decided to respond to it in this post. After thinking long and hard about how I can justify rooting for the Chicago Bears and doing so openly on this pro-Israel blog, I have finally thought of an explanation. Here goes. Purely (almost purely) out of concern for the captured soldiers do I root for the victory of the Chicago Bears in the playoffs and the upcoming superbowl. A victory for the Chicago Bears is a victory for Israel. Rooting for the Chicago Bears is an expression of solidarity with Gilad Shalit, and, by extension, the other abducted soldiers. How so? What is the connection, you might ask? This is the most popular picture of Gilad Shalit that has been displayed in the various media since he was abducted by animals far worse than your average bear, be it a Brown bear, Black bear, or let alone a Grizzly bear. If you look closely at the picture you will see that Gilad is wearing a Chicago Bears cap on his head. Gilad Shalit is clearly a fan of the Chicago bears. By rooting for victory by the Chicago Bears, I am rooting for victory of Gilad Shalit over his captors. I am rooting for his freedom. I am rooting for Israel. Now I no longer have to feel guilty about using this pro-Israel forum for rooting for the Chicago Bears... They go hand in hand. It is well known that Petah Tikva follows most of the minhagim of Jerusalem. The reason for this is the founders of Petah Tikva were all religious pioneers from Jerusalem, who went there about 130 years ago to start a new community. They, being Jerusalemites, founded Petah Tikva with the minhagim of Jerusalem. It was their way of remembering Jerusalem, instead of taking the minhagim of the rest of Israel. An example of such a minhag is candle lighting time on Friday afternoon. Most of Israel, and most of the world, lights candles 18 minutes (some light 20 minutes) prior to the onset of shabbos. Jerusalem, and other places that keep the minhagim of Jerusalem, light candles 40 minutes prior to the onset of shabbos. That is, most other places that keep the minhagim of Jerusalem. I just found out Petah Tikva is an exception. Petah Tikva keeps minhagim of Jerusalem, for the most part. However, regarding candle lighting for shabbos, they do something unique. This was the first I have heard of this minhag, and it shows how they kept Jerusalem at the forefront of their minds and thoughts. The editors of Torah Tidbits noticed some discrepancies in the listed candle-lighting times of Petah Tikva. They could not understand why the listed times looked like they were a few minutes different than what they should have been. While Petah Tikva famously lights 40 minutes prior to sunset, their sunset is a couple minutes earlier than the Jerusalem sunset. 40 minutes prior to sunset in PT should be a few minutes earlier than 40 minutes prior to sunset in Jerusalem. So why were the listed times equal to those listed for Jerusalem? The editor called the religious council representative of Petah Tikva and asked him for the resolution to the discrepancy. The response was that the minhag of Petah Tikva for candle lighting times does not follow the minhag of Jerusalem, being 40 minutes prior to the onset of shabbos (sunset). Rather, the minhag of Petah Tikva is to light the shabbos candles at the exact time they light in Jerusalem! That makes them light candles 37 or 38 minutes prior to sunset, but it was a unique method of keeping Jerusalem in their minds! I promised you a while back that I would write this post. After a number of posts (on this blog and on other blogs) describing some disturbing incidents that had taken place in RBS, some readers asked if there is anything good about RBS, and some of you asked about Israel in general. I mentioned that there is plenty of good in RBS and that I would one day write a post in praise of RBS. I got caught up with some other issues, and was not really sure where to begin with this one, so it got delayed. I now offer to you this post. The purpose of this is not to try to convince you to move to RBS or tell you that it is the greatest neighborhood in the world. There are plenty of great neighborhoods and you have to find one that is right for you. Every place, RBS included, has its problems and its benefits. I, and many other blogs, have ranted plenty on the problems of RBS, now is the time for some positive. RBS is a beautiful neighborhood in the hills of Bet Shemesh. The area is rich with history. I can drive for about 5 minutes or so and get to the location (give or take) where David slew Goliath with his slingshot. Bet Shemesh was the home of many battles between the ancient Israelites and the Philistines. Shimshon lived "just down the block" and a five or six minute drive will take you to his grave, along with to the locations of many of his battles and incidents mentioned in Tanach. That is only a very brief description of the history of the Bet Shemesh area. There is much more. The location of Ramat Bet Shemesh is very convenient. RBS is comfortably nestled in the hills between jerusalem and Tel Aviv. We have good public transportation, including a train station in BS along with a full range of Egged buses to the major cities. This makes it a prime location for the working class crowd, who can reap the benefits of real estate prices that are lower than Jerusalem but are still within a reasonable commute to jerusalem or Tel Aviv, be it by car or public transport. The city of Bet Shemesh has expanded tremendously over the past 10 years. It has gone from being a backwater town of about 15,000 to 20,000 people to about 80,000 residents currently (though some people still consider it backwater). Such growth has its problems. City services have a hard time keeping up with the growth but overall the city is beautiful with an abundance of parks and green areas. Yes, we have our kannoim, but most people are not like that. Most people are normal people just trying to concentrate on doing their own thing, whatever that might be. There is tremendous diversity in Ramat Bet Shemesh. You can find people of all types, which is one of the reasons we moved to RBS nearly 8 years ago. You can find Haredi (of all types), Dati Leumi, Secular. You can find Anglo expats, native Israelis, Ashkenazi Jews, Sefardic Jews, Yemenite jews, Russian Jews, Ethiopian Jews. We are practically our own Benneton poster. You can walk down the street and see so many different types of people. Most of the time, nearly all the time, everybody gets along with each other and people have friendships and relationships crossing the cultural differences. And one of the most exciting and dynamic aspects of this is watching Israel grow. Every time Nefesh B'Nefesh brings a planeload of people to Israel, RBS gets to watch Israel grow, as a nice percentage choose RBS as the place to live. Yet this is also true for olim from other areas, not just America. Russian Jews, French Jews, South African Jews, etc. There are constantly new building projects going up to fill the needs of the throngs of people moving to Israel. We literally watch the rebirth of Eretz Yisrael in front of our eyes on a daily basis. That diversity of people creates a diversity in religious and social services. For every type of person living in RBS there is a shul in the neighborhood (and often more than one) catering to his style, including some who try to cater and attract all of the types together! We have a matnas (community center) with a full range of activities that kids can take advantage of. There is a wide variety of schools to choose from, each with its own style and attraction. There are tremendous capabilities for growth. We have tremendous talmidei chachamim (scholars) in the neighborhood, alongside phenomenal Rabbonim, along with highly educated people in the secular studies. There is every possible type of shiur you could be looking for. There is a great shopping center with practically every type of store you could possibly need for your day to day life, ensuring that your need to leave the neighborhood is minimal. Practically everything you could possibly need is within a few minutes of your house. We have as many eruvin and mikvaot as you could possibly try to rely on, to accomodate the demands and needs of different types of people. Sure, we have our problems. What neighborhood doesn't? Rantings generally are more interesting to write, read and fight about, so they get more press time. Don't take the rantings of us bloggers as a sign that all is foul in RBS. Things are generally great. And we will welcome you with open arms if you do choose to move to Israel, and RBS in particular. Due to the recent flare-up in the Slifkin controversy, I have collaborated with R' Natan Slifkin in an interview in the attempt to answer some of the many questions and unclarities people have regarding the controversy. Q: How did you become the "Zoo Rabbi"? And how do you make all those connections - you walk into a zoo and say I love animals, can I get into the lion cage - how do you convince them to let you behind the scenes? The pictures and videos of me with wild animals are mostly from a private ranch in California where they train animals for work in movies. It's just a matter of paying a lot of money and signing a release of liability in case I get mauled! Occasionally, my connections to the Biblical Zoo have enabled me to go behind the scenes in some zoos in the U.S., and I also have some friends who work in various zoos. Q: Has the controversy affected your book sales and speaking schedule? Have sales gone up? Gone down? NS: Baruch Hashem, my book sales have gone way, way up. In terms of speaking engagements, while there are some places that will no longer invite me, this is far outweighed by the number of places that heard of me as a result of the controversy and davka want to invite me. It's interesting; when Darwin's book originally came out, the Gedolim in Europe met to decide upon a response. They decided that it would be a very bad idea to place a ban on reading it, as it would merely encourage interest in it. Q: How has the controversy around your works affected your and your families daily life? NS: Well, it's already mostly died down. But for the first eight months or so, it completely and utterly took over my life. Aside from the time juggling emails and phone calls, it was extremely stressful and it took a great toll on me and my wife emotionally (fortunately our children are far too young to be affected). It was especially difficult on my parents, who live in Bayit Vegan. There were posters all over Bayit Vegan - as if anyone there is even buying my books! My father (who is currently in a very grave situation in hospital) would go out every day to tear them down, and my mother was utterly distraught to the point that she was in tears frequently and couldn't bring herself to go to social events. I wonder if those who signed against my books gave any thought to their responsibilities in terms of causing tzaar to my family (or any other of the negative consequences of the ban, such as the massive chillul Hashem and the causing of many sincere people to move away from the yeshivah world). Q: Do you ever get tired of it - either the job itself or the controversy - and just say I have had enough and will now do something else, like be the Plant Rabbi for example? Do you have other interests that take up your time? NS: I was very sick of the controversy at the beginning, and I was desperate for it to be over. It was especially upsetting with those who attacked me personally and were motzi shem ra against me. But now it's died down a lot, and I've learned to handle it emotionally a lot better, so it doesn't bother me so much. My main frustration now is how so many people throw out charges against me which would be easily answered if they would just take the time to carefully read my book or my website. The job and topic itself is certainly not something that I get tired of. It's a source of endless fascination for me. Additionally, there are constantly different aspects of it to focus on. For example, I spent much of the last few months intensively researching hilchos shofar, and writing new chapters for the new edition of Mysterious Creatures. Q: How do you suggest lay people like me answer those who blankly ban your books without reading them? those who simply follow other rabbis like sheep, how do I respond (not start-up) as to why I want to read it - regardless of my agreeing with his answers? NS: Well, if they are simply following their rabbis, you can say that you are simply following yours! You could say that you know that there are serious talmidei chachamim who endorse this approach, and that you have no chiyyuv or reason to follow these other people's rabbonim. Q: Why is there so much hate toward you book and ideas, when you obviously have ma'are mekomos to back you up? Why has your work turned into such a wildfire? Why has it garnered the reaction it did, rather than just be shrugged off? NS: That's a very interesting question. There are really two issues here - the question of why the ban caused such a backlash, and the question of why there is so much hate towards me. The answer to the first is that the ban was not just directed against me or my works, but against anyone who has ever used these approaches - which is tens of thousands of people. All these people felt like they had personally been condemned. A lot of people bemoaned the criticisms or even leitzonus against the Gedolim that erupted after the ban. I don't think that they realize how these people issuing the letzonos were, in many cases, extremely personally hurt by the ban. This isn't to justify the extreme reactions, but when you effectively tell a large group of people that they are apikorsim, without even giving any reasons, it's inevitable that this will cause tremendous resentment. The reason why there is such hate towards me and my books is, I think, not so much due to what's in my books - after all, many of those who despise me have never even read my books. Rather, I think that it is for the most part due to my reaction to the ban i.e. defending myself very successfully on my website. If you consider the latest poster against me that was put up in RBS, the main reason why they said that people should not go to my shiurim was not so much the concern of "heresy", but rather that by doing so, people would be showing support to someone who is "defying the Gedolim." Over a year ago, a certain rabbi told me that I was attacking the Gedolim on my website. I protested that I have always been very careful, as have been those supervising what I put on my website, that there should be nothing that attacks them and that I am only defending myself from their attacks on my work. His reply was very interesting and revealing. He said, "Defending yourself against the Gedolim is by definition attacking them." Now, that is something that sounds ludicrous, but what I think that he subconsciously meant is that his personal sense of identity was threatened when his image of the Gedolim and the universal acceptance of their rulings is shaken, because he draws his own sense of self-esteem from his idea of the Gedolim (which doesn't include the Gedolim that I follow!). Q: Do you have a base of support that helps you get through the hard times? NS: Baruch Hashem my family, rebbeim and community have been very supportive. I also have a file that is stuffed with hundreds of letters of support that I have received. Q: How did you come to the conclusions that you came to that got you in trouble rather than follow other resolutions to the questions? Did those answers simply make more sense to you? Why have you been so adamant that your conclusions are correct, in spite of the rabbinic opposition to your solutions? NS: When it comes down to it, we are talking about two very simple things - is the universe very old, and do creatures spontaneously generate. I've studied a fair amount of science and I am convinced that the universe is very old and that creatures do not spontaneously generate. My rebbeim in these matters have always told me that these conclusions are perfectly theologically acceptable, and that is what is written in the sources that I have collected. I investigated all the various answers to these and other questions, and the approach that I eventually took was the one that both made the most sense to me and that my rebbeim preferred. I have never been given any reason to tell my rebbeim that they were wrong, to ignore the sefarim that I studied, or to reject what I have learned about the natural world. It's not as though any of the Gedolim who banned my works gave any alternative answers to the problems that my books deals with. You know, many people are under the impression that my books list dozens of cases where Chazal made mistakes in science. But the truth is that I only use that approach in THREE CASES! Mice growing from dirt, lice from sweat, and salamanders thriving only in fire. In each case, I was quoting other authorities, but the point is, throughout this whole controversy, not one of my opponents has said how they would explain these problems, let alone why my approach is wrong. Q: Do you feel you are on equal footing with Rabbonim the likes of Rav Elyashiv, Rav Lefkowitz, the Novominsker Rebbe and others that you feel you can oppose them when they say you are wrong? NS: I suggest that you look at what I wrote at http://www.zootorah.com/controversy/authority.html to see why I am not following their opinion; this is a very important page that I added recently to explain precisely this point. Q: On your website you say that the Rabbonim refused to meet with you to allow you to explain your position. There is/was a rumor that Rav Moshe Shternbuch had agreed to meet with you. Supposedly he even agreed to meet with you on your own terms, yet supposedly you refused at the last minute. Is there any truth to this rumor? Why would you not meet with him if he was willing? Can you deny the validity of the rumor? NS: I have never heard anything like that (I haven't even heard a rumor like that!). Someone offered to arrange a meeting with him, after he had already written his letter. They hadn't spoken to him at all. I asked one of my rebbeim who is extremely close with Rav Sternbuch, and he couldn't see any point at all. After all, he had already made a public statement. Q: Why do you continues to "peddle" your ideas, in light of the fact that the overwhelming majority of Chareidi Rabbonim oppose them. One would expect that even if you feels you are right, you should "go underground" for some years, spend his time delving into more traditional subjects, and then when older, wiser, and more mature, return to these issue. As an objective observer, regardless of the issue themselves, it seems very haughty on your part, at your age, to continue on, knowing that so many great people oppose his books. Why do you continue on? NS: Again, this relates to what I posted at http://www.zootorah.com/controversy/authority.html. I do accept, though, that these rabbonim have the right to say that they don't want this approach for their communities, which I am trying to make clear in the way that I am republishing my books. Q: Were you disappointed when your fellow landsman David Beckham decided to leave English footbal and take up American soccer? NS: I have absolutely zero interest in sports and I didn't even know that he left football - in fact, I'm not exactly sure who he is! Q: And finally, when is your next book coming out, And what will the topic be (if you can reveal it)? NS: It's a completely revised and vastly expanded edition of Mysterious Creatures, to be entitled Sacred Monsters. It will also include discussions of giants, dwarfs, the shamir, and two-headed people! It will hopefully be out by summer. Thank you R' Slifkin for the interview. I learned a lot from it. I hope others did as well. And Refuah Shleimah to your father. A sack, a fumble, Bears recover, Touchdown!!!! They gave us a scare for a bit but they have pulled away now. Hopefully it will hold. Time to bring back the Shuffle..
My cousin Shmuel and his wife Chava have just given birth to their first child, a girl. Mazel tov! This is hot off the press! Since I posted the information on the most recent incident in the Slifkin saga I have seen a bit of an increase in page hits. Many of those hits come from local RBS residents. The reason I know this is because many people over the weekend have come over to me telling me they saw my blog, etc..
Aside from the above, many people have asked me to help them understand the situation. The main question being the situation with Rav Malinowitz seemingly opposing Rav Elyashiv in this whole deal. Another main question was did Rav Malinowitz really write the letter in response or was that a forgery as well - this theory even got posted on a couple other blogs..
First, I will deal with the second question (not a problem of answering out of order, because I chose the order to write them) . Let me say that Rav Malinowitz's letter is not a forgery. He made that very clear. I was present when someone asked Rav M if he really thought Rav P's letter was a forgery. He responded by saying, "Isn't that what I wrote in my letter? It says it right in the letter." He was a bit evasive and curt on the issue and he made it clear that the letter was written tongue-in-cheek and "hameivin yavin". I then gave Rav M a ride and took the opportunity to discuss with him the first question I mentioned above. He told me that he has no problem arguing with Rav Elyashiv on this, just like people argue with him in halacha, people can argue with him in hashkafa as well. That being said, he explained there is no difference between them on this issue. As I mentioned in the comments of the earlier post, Rav Elyashiv never put Rav Slifkin in cherem, rather condemned those specific books that dealt with the issues under debate. Rav M added that he too never gave Rav S a haskama on those books (not sure if that was because he disagrees with the points made in the book or because he was not Rav Slifkins rav at the time) and Rav S does not lecture on those topics (at least in the current series of shiruim by Rav S in the shul). That being said, Rav M then explained to me how the whole thing erupted. Rav S wrote his book and had the approval and haskamos of many Rabbonim in America. Rav Elyashiv in Israel opposed the book at the time. Rav Aharon Feldman, Rosh Hayeshiva of Ner Yisrael, went to Rav Elyashiv when he was in Israel and asked about Slifkin. Rav Elyashiv explained to him why he is against, and based on that Rav Feldman retracted his haskamah and withfrew his support, which led to the other rabbonim falling into line as well. Rav Elyashiv based his opposition on his own chiddush. His chiddush is that once contemporary rabbonim rule overwhelmingly in favor of one hashkafic opinion (not sure when this ruling ever took place), any opposing hashkafic view, even if based on sources in rishonim and achronim as is the case in the Slifkin saga, is kefira and minus (heresy). This is truly a chiddush and has never been used prior to this situation. Rav M said that he argues completely on that idea, and we never see it in play anywhere else throughout Jewish literature. A hashkafic thought based on sources in the Rishonim is considered kefira because a contemporary Rav does not agree with it. That is the source of the controversy. Don't forget to be aware of JBlog Awareness Month. Click on the banner at the top of my sidebar and you will be taken to a (semi) random blog. I am randomly changing the link daily (as long as I can remember to actually change the link, no promises), so you never know where you will end. How exciting. I got a great "teudat hechsher" (kashrut certificate) today. Softball season is fast approaching. Today is the day we had to take our stress tests to ensure that we would not collapse on the field from the overly strenuous sport being played, and if we do at least we would be insured. At the end of my stress test I asked the technician how I did. The technician responded by saying, "As far as I am concerned, fine. You are in shape and fit. Keep doing what you are doing!" I never thought I was in shape. At best, maybe not in bad enough shape to have a heart attack on the basketball course or softball field. But now I know I am in shape. And not only that but they want me to continue eating red meat and hardly exercising (she said to keep doing what I am doing)!! There is a God!!! Nothing to do with Israel (unless you file US taxes in Israel), but you have a one-time chance of getting an extra $30-$60 back on this years tax returns, simply by adding (or having your accountant add it, if you are an ignoramus like me). See here for the lowdown.. In an attempt to get some clarity on the issues, I will be interviewing R' Natan Slifkin. I do not have an exact timeframe due to some external and personal issues. It might be within a couple of days or might be a bit longer. So, if you have any questions you ever wanted to ask of the Zoo Rabbi, whether about the controversy surrounding him or about the animal kingdom, or anything else (but let's try to keep away from questions about science and Torah, specifically age of the universe :-) ) send them to me. Either post them in the comments, email me - israeli.jew at gmail dot com - or send them to me by telepathy, just get them to me quickly... I will select a number of them, probably the ones I consider the best and most relevant and interesting, and will include them in the interview.. I have been invited to participate in a "roundtable discussion" on the BBC, which will begin in a few minutes. The topic is the resignation of Chief of Staff Dan Halutz. As you all know, last night was a big night for the media. Two major events occurred last night. The Chief of Staff, Dan Halutz, resigned. The Attorney Generals office officially opened an investigation into Ehud Olmert for one of the affairs he is involved in, specifically the possibility that he influenced a tender for the sale of Bank Leumi. There are two other items that are still in the queue that the Attorney General has not yet decided whether or not to open a full investigation. Dan Halutz did the right thing, albeit too late. He should have resigned four months ago when the war was over and allowed the IDF to rehab properly under proper guidance and direction from someone else at the helm. It was clear that Dan Halutz was not the right guy for the job, and when everybody lost confidence in him he should have gone home. At least now he did the right thing. The question I have is why now? All along he has been saying he will not resign until the Winograd committee comes back with recommendations and then only if they recommend he resign. They are scheduled to make their initial recommendations only next month, if I am not mistaken. If Halutz could have stayed to fix the problems, then his position on not resigning would even be honorable. However, there has not been a day since the war in which he was not criticized and handcuffed. He simply was not in position to fix the problems. It is about time he fessed up and did what was obviously necessary. All along Halutz has been saying that he takes responsibility for the failures of the war and IDF, but in his book responsibility does not mean resigning, rather working to fix the problem. I actually agree with that. After Barak quit politics (before the current comeback) after his failed stint as Prime Minister, he was heavily criticized for damaging the Labor Party and then disappearing into the business world. Netanayahu was similarly criticized after his issues with the Likud way back when. When Halutz decides to stay and fix the problems, he is criticized for that. My conclusion is that we are simply just a bloodthirsty people. We want blood. If somebody resigns, we criticize him for resigning. if somebody does not resign, we criticize him for that. We are Jews. That is just the way we are. And on that note, on to Ehud Olmert. I have many times called for his resignation. I have been accused of being anti-democratic in this call. Just because I do not agree with someone does not mean he has to resign. To that I say, this is different. I have gone through Prime Ministers I did not like or agree with. I did not like Rabin for what he did in Oslo. I did not like Barak. I am wary of Netanyahu and did not like some of the things he has done. Sharon in the end of his career made all his friends hate him and all his enemies like him. But I have never called on those Prime Ministers to resign. Just because I do not like or agree with certain policy is not a reason to resign. The PM was voted in and I have to accept that and work within the system and law to influence policy to the way I think is correct, but obviously I will rarely have the ability to have such influence. In other words, I am allowed to protest policy I think is wrong. I can call for change in policy. And I did. But I never called on a PM to resign. Until Ehud Olmert. And that does not make me undemocratic. Ehud Olmert is a master of political spin. He is hardly qualified for the job of Prime Minister. For all of you who will say he was fairly elected and we have to live with it, I tell you that he was fairly elected, but not on his own merits. He rode the wave of sympathy everyone had for Arik Sharon right into electoral victory. But that victory was nearly lost as in the two weeks prior to election day we saw his support erode from 45 + seats to the final tally of 29. A little more time and the sympathy vote might not have won him the election. Sure, he won. But he does not deserve the position. All he has done is bring dishonor to the Israeli people. He has been under investigation after investigation. He has mouthed off inappropriately. He has had three soldiers abducted under his care and he has practically abandoned them. He managed a failed war, despite his calling it a victory. It is time for Olmert to go home. The politicians from the various parties should stop being so worried about their seats and leased cars and vote no confidence in the leadership of Ehud Olmert, if he will not have the honor to do the right thing and resign on his own. It appears as though the Hizbollah is preparing for Round 2.Up our way (Moshav Avivim), the entire border is now dottedwith Hizbollah flags and moving figures. There is not asingle Lebanese army flag in sight.In my opinion, this is NOT okay. A flag is not only a symbol that represents concepts and ideals, but also used to stakeclaims. Does this mean that the Hizbollah have reclaimedSouthern Lebanon? While driving home form work one evening,will I encounter terrorists who have infiltrated through tunnels they have dug under the border-underneath the noses of the UN base that lies opposite my house? Bet Shemesh is a home to many local rags. Everybody looking to make a buck puts out a weekly advertising magazine. The Haredi community is no different and have their own local rags just like evrybody else. One of those rags is called "Chadash". "Chadash" is mostly advertising, with some articles and news items affecting the Haredi community of Bet Shemesh. I am told that even a majority of the "articles" are also really paid advertisements by the shul/school/person in the article. In this past Friday's edition of "Chadash" there was a letter from Rabbi Perlstein printed on the first page, right where it would be most visible. I do not have a copy of the letter to upload and I do not have it in front of me, so I will recap the content of the letter briefly from my memory. Translation: Regarding the question about Natan Slifkin, it is definitely prohibited to participate in the lectures of one who castrates the words of Chaza"l. Woe to the ears of one who hears such nothingness, and specifically all the Gedolei Yisroel of both Israel and America have declared that it is rohibited to read his books and to listen to his lectures, and it has already been publicized many times, who would not be careful from keeping his distance from him. When the expert doctors warn someone from eating something specific because of possible danger, who would dare eat it, and this is a "Kal V'chomer" that the gedolei yisroel have said with definity that his writings are prohibited and his words are suspect of containing heresy, who would want to lose his world and destroy his portion and abandon the source of pure spring water [a euphemism for the Torah], at a time when the torch that was given to Moshe and passed through the generations via our sages, etc. therefore I say faithfully, to hear lectures only from those who are confirmed in their Torah and fear of God and the words of chaza"l are embedded in their hearts like nails. , etc. I have been told by a reliable source that someone contacted the publisher of the rag and asked how he could print such a letter (I am not sure what the basis of the question was, considering the magazine is published by people with similar styles and concerns as the author of the letter) and asked if they endorsed the etter or was it a paid advertisement. The response of the publisher was that he could not refuse to publish it. Rav Perlstein (or maybe it was one of his goons) called and told him to put it in. He could not refuse considering who Rav Perlstein is. It was not paid for but is also not endorsed (i.e. is not an article printed by) by the editor. 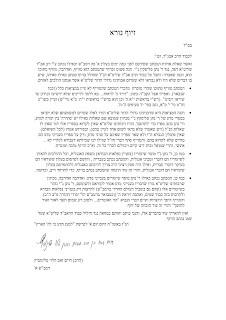 Rav Malinowitz, the Rav of the shul I, and Rav Natan Slifkin, daven in, issued a response to the above letter. Rav Malinowitz has been a supporter of Slifkins and has been with him through the whole fight. He has not wavered in his support of Slifkin and is aware of every detail of the issue. About the question regarding the letter publisheda few days ago in a local RBS publication, as if it had been written by a local Rav ABD (av beis din) against R' Natan Slifkin. It is obvious and clear that the letter is a forgery, as I will show. And it is a shame for the honor of said Rav ABD that has been desecrated by this forgery, as if it emanated from him, that contains within it things that never happened. The facts are that the Rabbonim Gedolei hador have paskened for those who follow their words that they shall not read the science books of R' Natan Slifkin because those books deal with questions as if there is a contradictions between science and Torah, and R' Slifkin attempts to resolve the questions. Our Rabbis have taught that these books should not be read except by those disturbed by such questions (and some have said nobody should read these books); They have clearly stated (to all those who have asked) that they are not dsqualifying (passuling) chas v'shalom the person [R' Slifkin] himself and not his other books on subjects other than science, only those science books do they instruct not to read. The forger has contradicted the words of our Rabbis that "things that will be revealed to all, a person will not lie about". All this can be clarified to anybody who checks, and it is clear this is a forgery. As well, R' Natan gives lectures (on the topic of the wonders of creation) in the English language, and those who attend the lectures are those who speak and understand English. The letter had been written in Hebrew and was placed in a magazine whose readership is the Hebrew speaking public. Had it been a serious psak, it should have been wirtten in English and publicized in a publication dediated to the English speaking public. This is another proof that the letter was forged and simply for the purpose of causing argument. 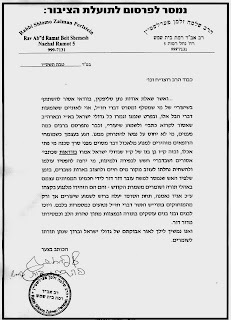 As well, the letter was written as if R' Slifkin is giving lectures on science topics, and just the opposite, because the Rabbonim have decreed that his words on science should not be read or listened to, R' Slifkin is careful in his lectures (which are for the Haredi public in RBS as well) to only lecture on topics of wonders of creation and thereby increase the glory of Hashem and love and fear of Hashem. The forger of the letter claims otherwise, and that is further proof to the forgery. There is no need to lengthen the topic, and I write and sign in protest against the great desecration of the honor of the Rav AB"D whose name was forged in the letter. The Tznius Road Show has been getting around.. It has made its appearances in Bnei Brak, Yerushalayim, Lakewood, recently Beitar and other places. I have just found out that supposedly this coming Thursday the Tznius Road Show will be making its next stop in Bet Shemesh. The kannoim of Bet Shemesh felt they could not feel less frum than all these other cities by not hosting an appearance, so they put one together. I do not yet know the format nor who will be speaking, but it will be held at Chanichei Hayeshivos Shul in Ramat Bet Shemesh. If it would be held anywhere else, I would consider going, even if for the sole purpose of curiosity and blogging about what they say. However, because it is in the Chanichei Shul, I will not participate. That is the center for the kannoim of RBS and the place where all the crazy stuff you hear about goes down, so I do not go there. DA BEARS did it! Looks like Rex turned up something as a combo of Jeckyl and Hyde and played well enough to not lose the game.